Almond oil is acquired from dried almonds through a process called cold pressing. The good thing about using this skin care product is the benefits derived from its vitamins such as E, A and D. It is also rich in oleic and linoleic acids. It is mostly used as a skin care product but is also used as a medicinal oil for some skin disorders. So, what are some of the benefits that come with using almond on your skin? How to use it for different skin conditions? Almonds have a way of trapping moisture in the skin keeping it moisturized at all times. Better still, its high lubricating quality makes many users stick to using it as their daily skin care product. This oil has also been proven to have a calming effect on people with skin allergies and inflammation. It has both the ability to soothe as well as treat skin allergies. 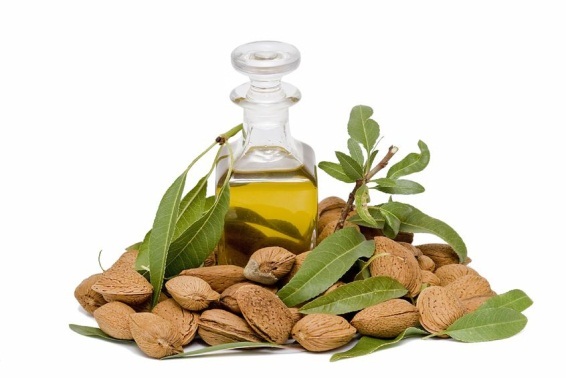 Minor wounds, chapped skin, and other skin infections can also be treated using almond oil. Emollient properties refer to the ability of the almond oil to get absorbed into your skin. It is also used in many spas for its less fragrant and less greasy qualities. It is also useful in massages as it restores the normal PH of the skin and allows the skin to glow thus preserving moisture. Its lightening ability is another reason that has made this oil popular among many people with dark marks on their skin. All you need to do is mix some almond oil with some honey and apply on the affected area. Almond oil contains vitamins that help it delay the appearance of wrinkles. It is best to apply almond at night after taking a shower. You could choose to do this twice a week or alternate days depending on how soon you wish to see the end results. This helps in repairing, rejuvenating, as well as revitalizing your damaged skin ensuring it is left feeling relaxed and looking great. Mix ½ cup of fine sugar with a tablespoonful of almond. Apply the mixture on your face while in the shower since this is quite a messy procedure. Rub gently until the skin feels smooth and avoid the delicate area around the eyes. Rinse well and remove any traces of sugar from your face. Almond has fatty acids that dissolve the sebum that causes acne. Better still, it has been proven to treat various skin conditions such as eczema and acne. Wash your hands and face. Pour some almond oil on your hands and rub it on your face preferably before going to bed. It’s preferred to use sweet therapeutic-grade almond oil for treating acne. Almond can be used as a moisturizer for the rough, dry and flaky skin and gives you smoother and softer skin. All you have to do is apply one or two drops of the oil on your skin after a thorough cleansing. Allow the oil to settle for some few minutes then apply makeup once it has dried. This is determined by the fact that almond oil has anti-aging qualities. It can help to clear puffed eyes as well as dark circles around the eyes. Apply one or two drops of almond skin oil around your eyes and pat gently using the tips of your fingers. It is usually done before bedtime. This is as a result of its emollient quality that tightens the skin and promotes better blood circulation thus reduces stretch marks. Apply some almond oil on the area of your skin with stretch marks. Massage the skin gently in a circular motion for a few minutes. This is mostly ideal after a bath. For best results, users are advised to apply twice a day. This is used to prevent moisture from evaporating, leaving your skin strengthened and nourished. You can use it alone or mix 2-3 drops of essential oil and use it to massage your skin. It is used as a makeup remover as it leaves the skin looking healthier and beautiful. Massage it gently to remove eye makeup. It’s effective enough to remove waterproof mascara.